Our country is blessed with diversity in all aspects – savannahs rich in big game; cultures unchanged by the modern world; beaches & coral reefs; equatorial forests; snowcapped mountains; searing deserts and cool highland retreats. Kenya has an exotic history, and a fascinating modern culture, not to mention endless opportunities for adventure, discovery, and so much more than you would expect. 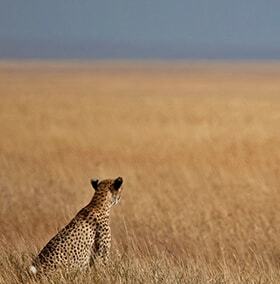 The duration of our safaris will vary according to the number of days you have available. As much as possible, we recommend a minimum of 2 nights in each destination. This will ensure you have time to explore the destination and enjoy the facilities offered by the properties. The price range would vary depending on the number of people travelling, period of travel and your preferred range of accommodation. 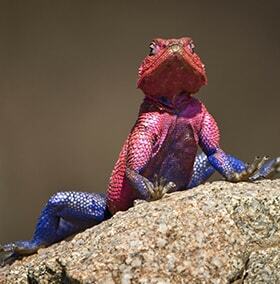 We try to be as “all inclusive” as possible with our safaris. All safaris have core inclusions in the pricing, such as: game drives, transfers, accommodation and park fees. Excluded are services like laundry, items of a personal nature, alcoholic drinks, telephone calls, and optional activities such as balloon safaris and homestead visits, except if the offered property includes the same in their accommodation pricing. The brief safari descriptions shown below are only meant to give you an idea of a suitable travel option… If you do not find a description to suit your interest, please contact us for more suggestions. 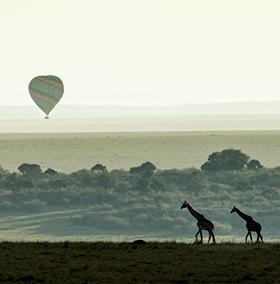 These safaris are for thrill seekers, offering experiences that will last you a lifetime. These range from walking in the African bush following the footsteps of our nomadic tribes, to crossing great and trackless areas using camels or riding alongside wild game in the beautiful landscape. You may wish to soar in a balloon for a bird’s eye view of the wildlife, or conquer the summit of the highest mountain in Kenya. Some of these options would have age restrictions. There is nothing better than sleeping under the stars experiencing Africa’s magical moments. This is the most ideal safari for those who like to “rough it” in two person Doum tents provided for your accommodation, whereby mattresses are laid on the sewn-in ground sheet. The tents are spacious enough for two people and they have mesh on each window to screen away the insects. These safaris are accompanied by a chef who prepares all your meals. We recommend clients to bring their own sleeping bags and personal items. The public campsites provide basic washroom facilities of a reasonable hygienic standard for budget camping safaris. The campsites are safe and there is usually a night guard. Children below 5 years are NOT recommended for these safaris. Kenya has one of the most diverse social tapestries on earth. The Kenyan culture unites its people and makes them a strong, proud people, who wish to warmly welcome you to our beautiful country. 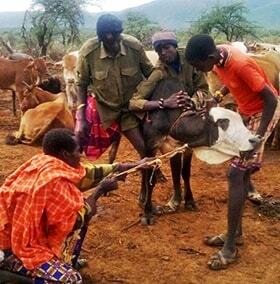 Traveling in Kenya is to experience this unique cultural mosaic which is as old as creation. Everywhere you travel, you will be met by diverse and fascinating cultures. These safaris will allow you to experience the rich cultural heritage first hand. By staying in lodges/camps that are managed by, or work closely with the local communities, you will learn more about our cultures and the way tradition survives in the modern world. There is no age limit for these safaris. An African safari is an exciting journey for a family. With new experiences at every turn, action packed days with no distracting television. Families traveling to East Africa have a great opportunity to bond, communicate, and interact with each other, whilst learning so much about themselves and the world around them. To ensure that children do not negatively impact other guests’ experiences, we ask parents to make sure they take care to instruct their children to obey the rules & regulations governing the safari, and accommodation properties. The accommodation properties offer special programmes for children which gives them the opportunity to experience the time of their lives, while the parents unwind. 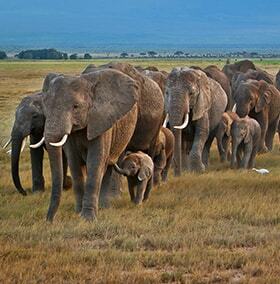 There is no age limit for these safaris. These safaris are highly recommended for those with limited time for travel. The flight duration is approx. 1 – 2 Hours, depending on the destinations. Shared scheduled flights are available, or private charters if you prefer, in light aircraft. These safaris enable you spend more time at the destinations to fully explore the reserves / parks, and enjoy the facilities at the properties you’ll stay in. There is a baggage restriction (usually 15 kg per person including hand luggage) on the flights and it is highly recommended you travel light with soft bags. There is no age limit for these safaris. 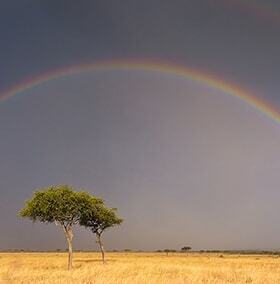 Kenya’s diverse landscape makes the country a feast for the eye. In one single country, you will see endless rolling savannah’s, lush rainforests, snowcapped mountains on the equator, tropical beaches, extinct volcanoes, fresh and salt water lakes, hot springs and geysers, baking deserts, glaciers and coral reefs. These safaris will give you the world in a single country. 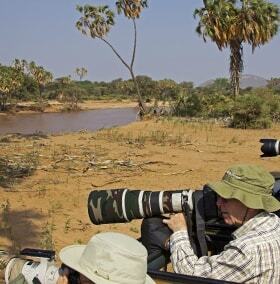 There is no age limit for these safaris. Kenya is blessed with an incredible range of wild habitat, each with its own unique range of species. Each habitat is a new territory for you to explore. These safaris not only give you the chance to see our wildlife but also a wild world of fascinating natural behavior and interactions between species that will enthrall you, whether it is an Elephant cutting grass with its toe nails; Turtle hatchlings running to the sea; or a Cheetah teaching its cub how to hunt – and there’s so much more to discover. After the day’s’ activities, relax on your balcony, or go for a sundowner to watch the sunset turn the sky gold as the distant bark of a hyena brings the day to a perfect close. The age limit for this package is above 7 years. From the world’s biggest bird, the Ostrich, to spectacular flamingo’s that congregate in their millions at the various Lakes of the Great Rift Valley, camouflaging them in pink, Kenya holds some remarkable birding sights that you have to see to believe them. The variety of birds in Kenya is made possible by our favorable climate, diverse habitats, and geographical features that make it a suitable migratory route for birds. 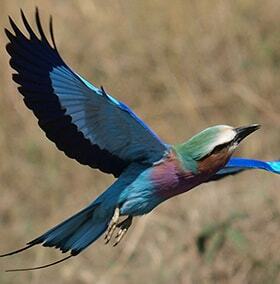 With 11% of the world’s bird species – 1,098, Kenya’s birding is one of the best in the world. 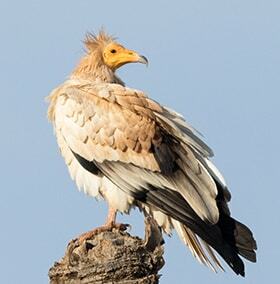 Our birding safaris are led by a professional birder who together with our driver/guide will broaden your birding experience beyond the usual guiding services. We recommend a maximum of 5 adults in a vehicle for these safaris to ensure personal attention can be given to all participants. This safari is for borders only. These trips are designed for a maximum of three guests to accommodate your photographic needs in destinations specially handpicked for their excellent photographic opportunities. We use small camps that are also compatible to all aspects of photography. Led by our highly trained guides who are sensitive to the needs of photographers, the safari is further complimented by our unique photographically modified safari vehicle, which is offered on exclusive use. Enough bean bags are provide for your comfort at all times and a re-charging facility in the vehicle.